2015.12.04: "In July 2015, the ABM acquired Silhouette from Judge Bryan for use in its in water fleet. The boat will be used to give museum visitors rides and to educate and train the next generation of young sailors." (source: submitted online) previous note: Original owner Daniel Bacon was a member of the Seawanhaka Corinthian Yacht Club in New York. 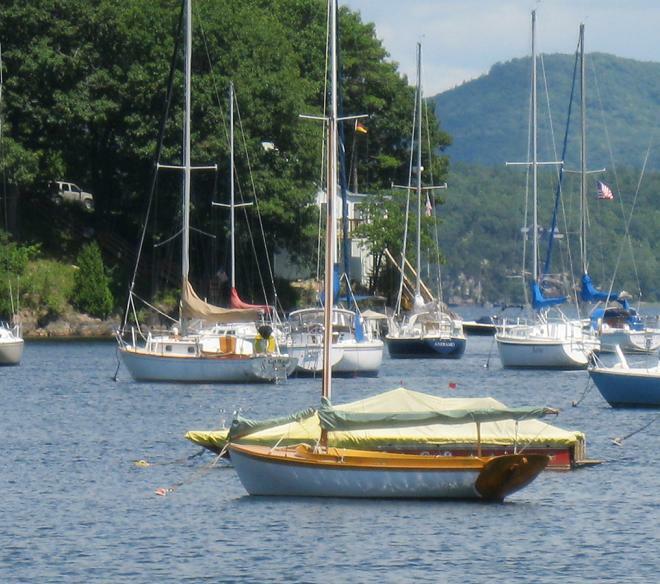 [Until 2015 the boat was] owned by Alden Bryan, a superior court judge in Vermont. Judge Bryan bought it through Pendleton Yacht Yard after they had completely restored it in 2000. It is now in excellent condition and sails on Lake Champlain. Stanley Pendleton converted it’s then marconi rig to it’s current gaff rig (as it was originally) when he restored it.